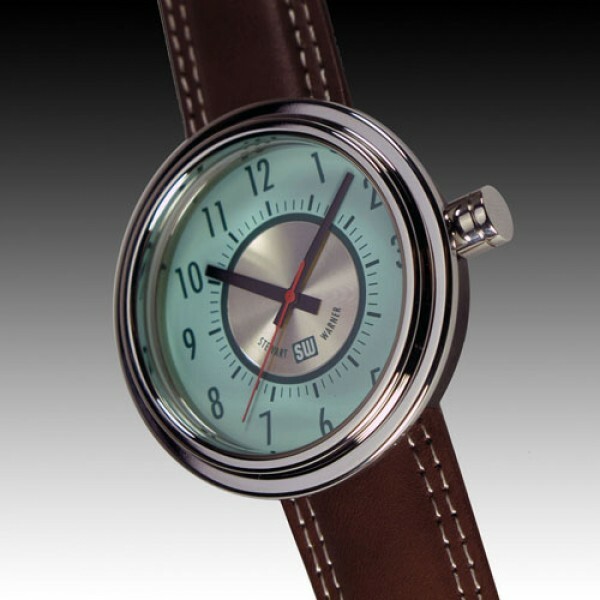 Timedrivers’ inspiration for the Custom came from the 60’s & 70’s Stewart Warner line of gauges of the same name. Originally intended for the muscle car owner the Green line gauge also found favor with the custom car set. 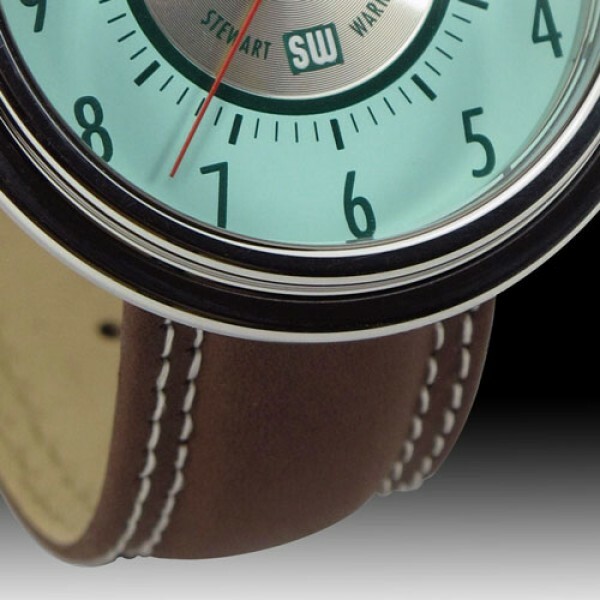 Our interpretation of this popular item is a blend of the Green line and SW’s marine gauge called the Blue line. The mint green dial compliments the radial brushed aluminum center and is offset by the forest green pinstripes and numbers. 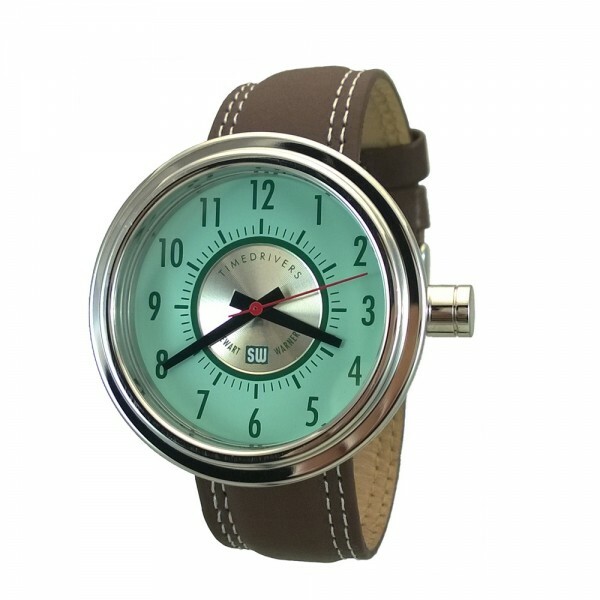 The generous 47 mm polished stainless steel bezel retains the scratch resistant mineral glass crystal and the medium grain brown leather strap with polished stainless steel buckle makes this a special watch. 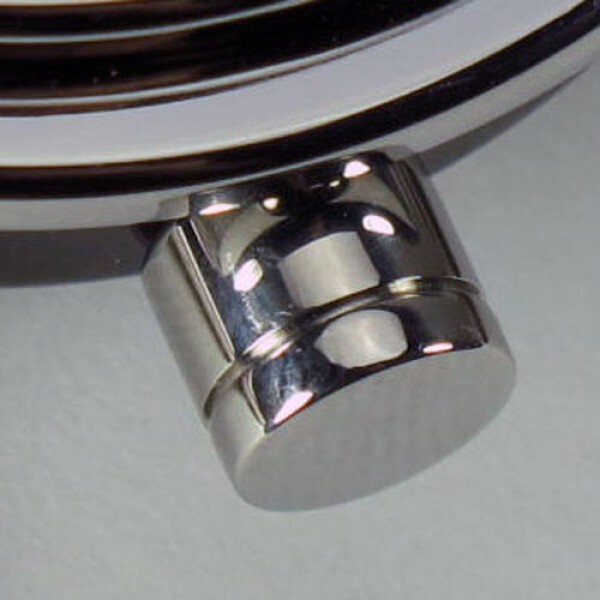 The Japanese quartz movement featuring a hours, minutes and seconds function is shock resistant and the watch itself is waterproof to 30 meters.